The UK government will announce plans today to permit driver-less cars on public roads as early as January 2015. So far, worries about legal and insurance issues have restricted autonomous vehicles to private roads. Now, however, as part of its plan to signal that Britain can be a leader in such technology, the government wants to update the law to ensure that driver-less cars can take to the streets. The move will require a change in the Highway Code and brings the UK in line with countries such as Japan, Germany and Singapore. In the US, driver-less cars have been tested on public roads for months, with Google's fleet of autonomous vehicles racking up more than 300,000 miles in California alone. All of the major automotive manufacturers, including Audi, BMW, Mercedes-Benz, Nissan, General Motors, Ford and Toyota are also working towards their own production models. Still uncertain about adopting cloud services? A new study from the Cloud Industry Forum has found that cloud services have given more than 1 in 2 companies competitive advantage. Some 55% of organisations say cloud has delivered competitive advantage, while another quarter believes such advantage is imminent. Who was surveyed? Researchers at the CIF talked to 250 senior IT and business decision-makers about cloud adoption. Fast adoption Some 47% of those surveyed said the ability to access latest technologies faster was the main benefit of cloud. For example, big data is revolutionising how the world does business. It is helping you learn more about what your clients like and what they don’t like. Mice first broke onto the public stage with the introduction of the Apple Macintosh in 1984, and since then they have helped to completely redefine the way we use computers. Every day of your computing life, you reach out for your mouse whenever you want to move your cursor or activate something. Your mouse senses your motion and your clicks and sends them to the computer so it can respond appropriately. We'll take the cover off of this important part of the human-machine interface and see exactly what makes it tick. An application normally needs permission and should alert user that it needs permission to make phone call, when it is being installed. Researchers at Security firm CureSec has discovered a security flaw in the Android system that allows malicious applications to initiate unauthorized phone calls. By exploiting this vulnerability, malicious apps can make phone calls to premium-rated numbers and terminate any outgoing calls. It is also capable of sending Unstructured Supplementary Service Data (USSD) codes that can be used for enabling call forwarding, blocking your sim cards and so on. The security bug appears to be introduced in Android Jelly bean 4.1.1 and it exits in all latest versions through Android Kitkat 4.4.2. Berkeley, CA -- A team of researchers led by Xiang Zhang, UC Berkeley professor of mechanical engineering, has found a way to dramatically increase the sensitivity of a light-based plasmon sensor to detect incredibly minute concentrations of explosives. 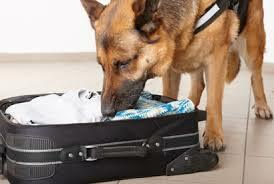 They noted that it could potentially be used to sniff out a hard-to-detect explosive popular among terrorists. Their findings are to be published Sunday, July 20, in the advanced online publication of the journal Nature Nanotechnology. They put the sensor to the test with various explosives - 2,4-dinitrotoluene (DNT), ammonium nitrate and nitrobenzene - and found that the device successfully detected the airborne chemicals at concentrations of 0.67 parts per billion, 0.4 parts per billion and 7.2 parts per million, respectively. One part per billion would be akin to a blade of grass on a football field. The researchers noted that this is much more sensitive than the published results to date for other optical sensors.